On behalf of the Redwood Parent Teacher Student Association (PTSA), I would like to welcome all new and returning families to Redwood High School for the 2017-18 school year. We look forward to seeing you at our “Back to School Coffee” on the first day of school on Wednesday, August 17, 2016, at 8am in the CEA. 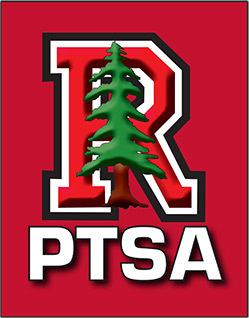 The Redwood PTSA supports students, teachers and parents by providing student assemblies and events, staff appreciation drawings, monthly parent education events and campus improvements. We need you to become a PTSA member today so that we may continue to provide maximum benefits for our Redwood community! Won’t you please join now for the low fee of $45, and consider an additional tax-deductible donation to support our work? We are a nonprofit organization and our source of support is from membership dues, donations and advertising sales in the Redwood High School Directory. Our existence and ongoing success is possible because of the committed membership support, donations and active parent volunteer base at Redwood High School. For the third year in a row, our Summer Packet is available exclusively online at redwoodptsa.org. Of course, if you prefer to receive a complete packet in the mail, please call 415-945-3620 and leave your name and mailing address information. We will be happy to mail a packet to you. The packet is divided into 2 sections – “Action Items”, where you will find forms and payment information and “Information Items”, where you can get information to prepare for the start of the school year. ”Right Start” Back to School Package Information –PTSA has teamed up with Redwood Leadership/ASB (Associated Student Body) to offer access to the RHS “Right Start” Back to School Package. This package contains key items for your student, specifically the ASB sticker, which goes on the student ID card and turns it into a “Student Activity” card, allowing free access to sporting events and discounts on dances, Prom and other student events. You also will receive a 2017-18 yearbook, the invaluable RHS Academic Daily Planner, a bumper sticker “R” decal, Redwood Aviator sunglasses, a Redwood Baseball cap, and an RHS lanyard. ORDER online after August 1st or by mail. You will need your student ID to use the online store. Incoming Freshmen and Transfer Students will be receiving their student IDs via email from Principal’s Assistant, Jean Leutwyler on August 1. Photo Form – order online or fill out and bring to Photo Day/Orientation Day on Tuesday, August 22, 2017. PTSA Membership Form – Joining the RHS PTSA is the best $45 investment you can make for yourself and your child and, it is the only way to get access to the electronic Redwood High School Directory that lists the RHS families and their contact information. Please join now! PTSA Welcome Coffee Info – First Day of School, Wednesday August 23rd at 8am in the CEA. PTSA Parent Ed Events – Save the Dates. Please take this opportunity to review our Online Summer Packet information and act now. We appreciate your support and thank you for being a part of our wonderful Redwood community. Enjoy the rest of your summer!